Money market instruments are securities that provide businesses, banks, and the government with large amounts of low-cost capital for a short time. The period is overnight, a few days, weeks, or even months, but always less than a year. The financial markets meet longer-term cash needs. Businesses need short-term cash because payments for goods and services sold might take months. Without money market instruments, they'd have to wait until payments were received for goods already sold. This would delay the purchases of the raw goods and slow down the manufacturing of the finished product. Businesses also use money market instruments to invest extra cash. It will earn a little interest until it needs to pay its fixed operating costs. These include rent, utilities, and wages. Money market instruments allow managers to get cash quickly when they need it. For that reason, money market instruments must be very safe. For example, the stock market is too risky. Prices might have fallen by the time the firm needs to pay bills. Money markets must also be easy to withdraw at a moment's notice. They can’t have large transaction fees. Otherwise, the business would just keep extra cash in a safe. There is $883 billion in money market instruments issued throughout the world, according to the Bank for International Settlements. Many of these instruments of the money market are part of the U.S. money supply. This includes currency, check deposits, as well as money market funds, certificates of deposit, and savings accounts. The size of the money supply affects interest rates, consequently influencing economic growth. There are 15 types of money market instruments. Each meets the specific needs of the different customers. Commercial Paper: Large companies with impeccable credit can simply issue short-term unsecured promissory notes to raise cash. Asset-backed commercial paper is a derivative based upon commercial paper. This is the most popular money market instrument with $521 billion issued worldwide, according to the Bank for International Settlements. Federal Funds: Banks are the only businesses that use federal funds. Banks use them to meet the Federal Reserve requirement each night. It's roughly 10% of all bank liabilities over $58.8 million. A bank without enough cash on hand to meet the requirement will borrow from other banks. The federal funds rate is the interest banks charge each other to borrow fed funds. The current fed funds rate dictates all other short-term interest rates. Discount Window: If a bank can't borrow fed funds from another bank, it can go to the Fed's discount window. The Fed intentionally charges a discount rate that's slightly higher than the fed funds rate. It prefers banks to borrow from each other. Most banks avoid the discount window, but it's there in case of emergency. Certificates of Deposit: Banks issue certificates of deposit to raise short-term cash. Their duration is from one to six months. The CDs pay the holder higher interest rates the longer the cash is held. Eurodollars: Banks also issue CDs in foreign banks. These are held in euros instead of U.S. dollars. Repurchase Agreements: Banks raise short-term funds by selling securities but promising at the same time to repurchase them in a short period of time. This often means the next day with a little added interest. Even though it's a sale, it's booked as a short-term collateralized loan. The buyer of the security, who is actually the lender, executes a reverse repo. Bankers Acceptances: This works like a bank loan for international trade. The bank guarantees that one of its customers will pay for goods received, typically 30 - 60 days later. For example, an importer wants to order goods, but the exporter won't give him credit. He goes to his bank which guarantees the payment. The bank is accepting the responsibility for the payment. 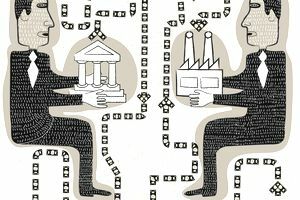 Swaps: Banks act as middlemen for companies that want to protect themselves from changes in interest rates. Backup Line of Credit: A bank will guarantee to pay 50% to 100% of the money market instrument if the issuer does not. Credit Enhancement: The bank issues a letter of credit that it will redeem the money market instrument if the issuer does not. Treasury Bills: The federal government raises operational cash by issuing bills in the following durations: 4 weeks, 13 weeks, 26 weeks, and one year. Municipal Notes: Cities and states issue short-term bills to raise cash. The interest payments on these are exempt from federal taxes. There are also investments based on money market instruments. Shares in Money Market Instruments: Money market funds, other short-term investment pools in banks, and the government combine money market instruments and sell shares to their investors. Futures Contracts: These contracts obligate traders to either buy or sell a money market security at an agreed-upon price on a certain date in the future. Four instruments are typically used: 13-week Treasury bills, three-month euro time deposits, one-month euro time deposits, and a 30-day average of the fed funds rate. Futures Options: Traders can also buy just the option, without an obligation, to buy or sell a money market futures contract at an agreed-upon price on or before a specified date. There are options on three instruments: three-month Treasury bill futures, three-month euro futures, and one-month euro futures. Since money market instruments are generally so safe, it came as a surprise to most that they were at the heart of the 2008 financial crisis. In fact, the Fed had to create many new and innovative programs to keep the money market running. Although these tools worked well, they confused the general public. The complexity created mistrust about the Fed's intentions and actions. Now that the financial crisis is over, these tools are no longer needed and have been discontinued. You can take advantage of the liquidity of many money market instruments. You can get money market mutual funds, Treasury bills, Treasury bill mutual funds, and municipal note mutual funds from your broker. You can also buy Treasury bills directly from the U.S. Treasury if you intend to hold them until maturity. You can purchase CDs from a bank. You can purchase futures contracts from a brokerage. You can trade futures options at a financial services company or broker. Some of these instruments will protect you during rising interest rates. Look for savings products with variable interest rates that will rise along with rates. These include money market mutual funds, short-term CDs, and Treasury bills. While we’re on the topic, you can also get savings accounts and money market accounts from your bank. These aren’t based on money market instruments. Instead, they are interest-bearing accounts issued by your bank. These accounts are insured by the Federal Deposit Insurance Corporation, unlike money market mutual funds. Avoid fixed income investments that are locked in for a month or more. These include CDs, and Short-term Bond Funds. Both only pay the same low rate over time. As interest rates rise, their values fall. For the same reason, avoid any long-term bond funds. Only use them to diversify your portfolio and reduce risk.